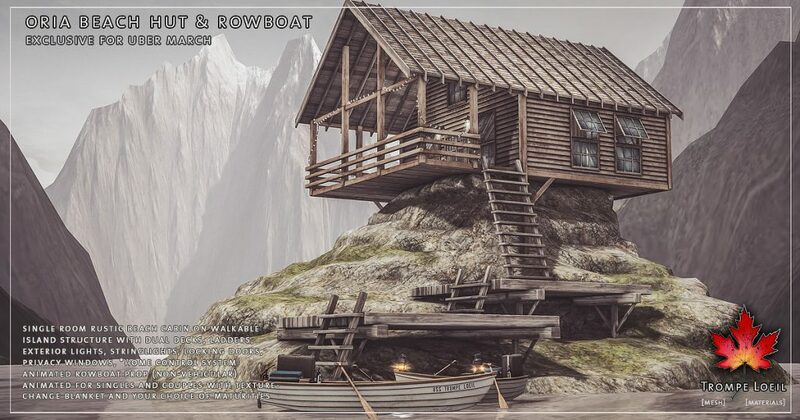 Sometimes all you need is your own cabin – with the private island included! 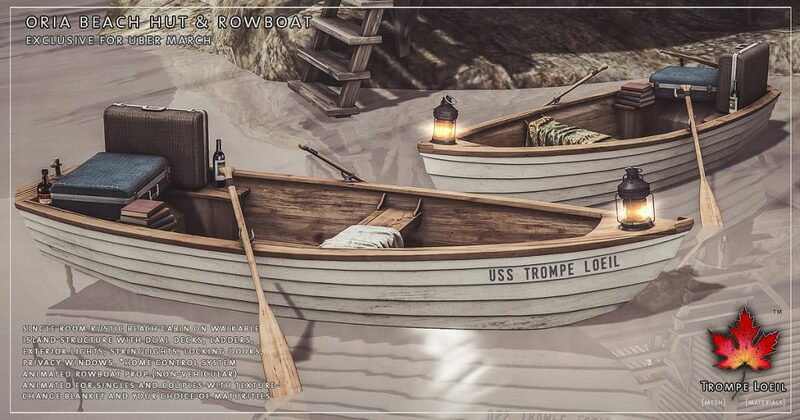 Trompe Loeil’s Oria Beach Hut and matching animated Rowboat for Uber’s March round will have you casting aside your cares for the castaway lifestyle! 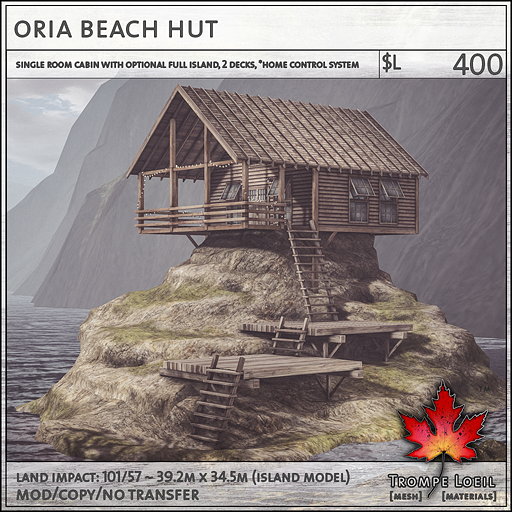 The Oria Beach Hut is a rustic, single room cabin with covered porch perched atop a custom walkable stone island that fits in a variety of surrounding landscapes. 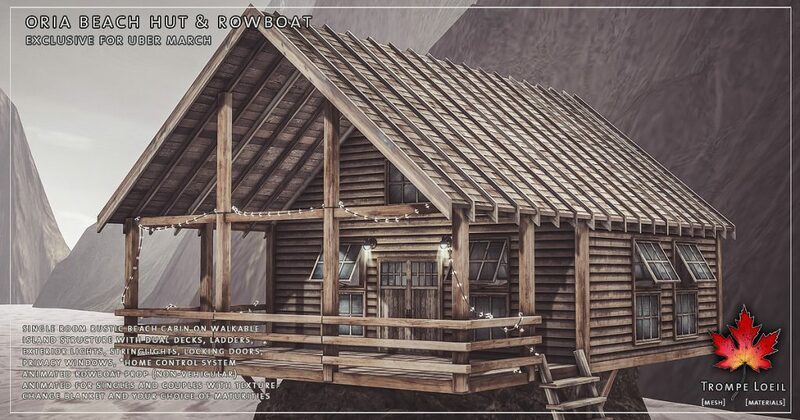 Enter from water level onto the two lower wood decks, and then up to your home for a view that lasts for miles! 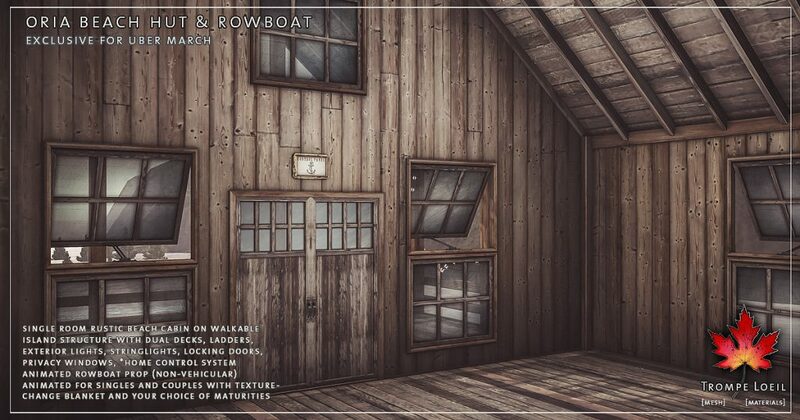 We include privacy windows, locking double doors, exterior lights, and our *home control system. 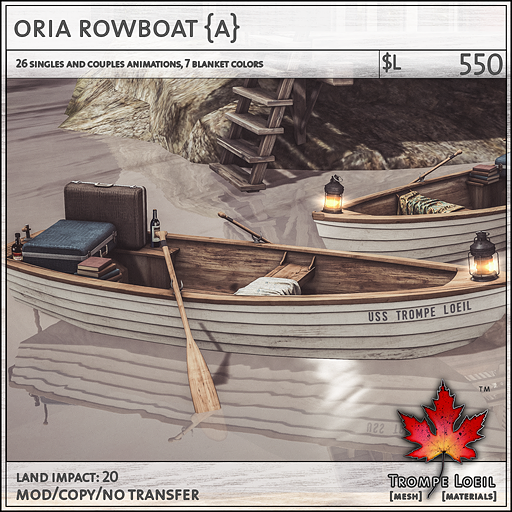 Models with and without the island base are also included, for use of the prefab on regular landscapes – and a selection of specially-baked deck pieces with ladder combinations for your expanded landscaping plans! 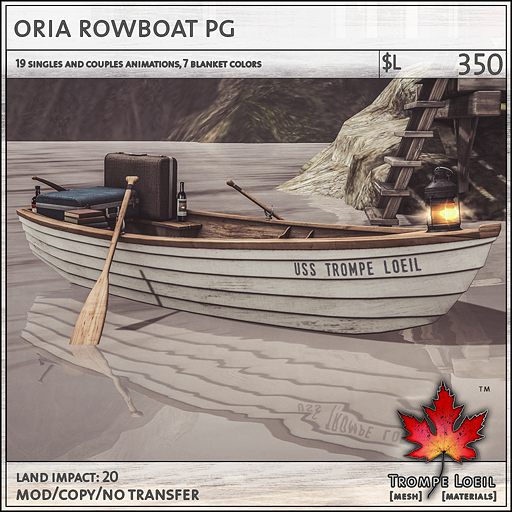 Plus, the Oria Rowboat is a non-vehicular animated boat prop animated for singles and couples in your choice of maturities, a perfect addition to park by your new dock. Stocked for a weekend getaway with luggage, books, and plenty of refreshments, plus texture change blanket! Grab them both at Uber’s March round!